legacy and the value of focusing on the here and now. Three pages into Irvin Yalom's heady, 480-page Existential Psychotherapy, the author pauses, like a scoutmaster a few steps into the wilderness turning to make sure the troop is still behind him. "So far, so good," he writes. Then he plunges forward, carving a new path for exploring the deep, lush wilds of the mind. 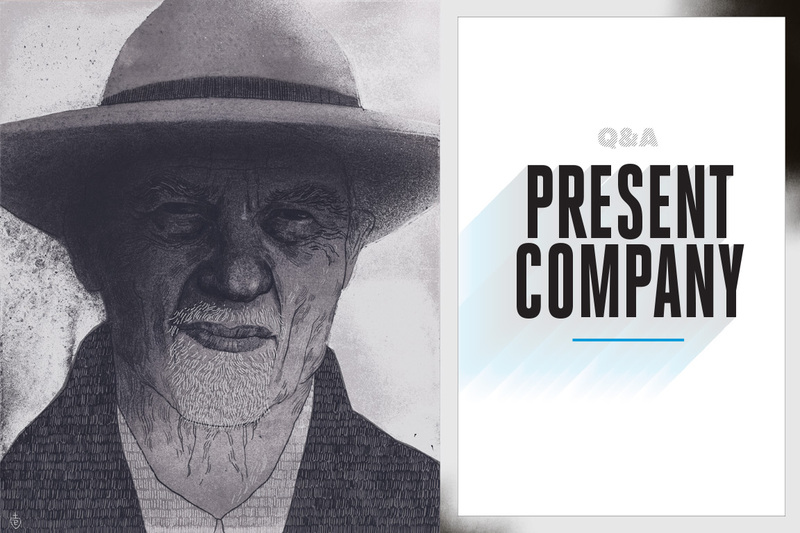 As he had for years before that 1980 book and has in the decades since, the soft-spoken Dr. Yalom, BA '52, manages to bring lucidity and calm to a topic that otherwise might seem like an abyss of searing dread. Existential psychology deals in issues that stem from struggles with "the givens of existence," in the words of the esteemed, 83-year-old psychiatrist and professor emeritus at Stanford. Those givens are, in no particular order: death; freedom (one's total control of—and responsibility for—the creation of one's world); the ultimate isolation of never truly knowing another person; and meaninglessness, or "the dilemma of a meaningseeking creature who is thrown into a universe that has no meaning." These aren't the root of every issue. But, Dr. Yalom contends, they are part of the ecosystem of the mind and too elemental to be ignored. Across 60 years of practice and 13 books, his lens on psychotherapy and penchant for storytelling have made Dr. Yalom an influential thinker—the author of foundational textbooks but also a surprise international best-seller of novels and pioneering nonfiction. His 1974 book, Every Day Gets a Little Closer: A Twice-Told Therapy, was co-written with a patient and billed as the first book ever to offer the view from both sides of the process. In books like Love's Executioner and this year's Creatures of a Day, Dr. Yalom again takes readers behind his closed-door work with real patients, airing the sorts of wounds that so many spend their lives hiding. He turns to himself, as well, narrating his own fumbles and failings en route to a connection and a chance for healing. There's a raw honesty to it. And, at its best, the writing catches the reflection of the reader and of a darkness that's threaded through our DNA, as new as it is old. "That fact may offend our sense of pride in modernism, our sense of an eternal spiral of progress," Dr. Yalom writes in Existential Psychotherapy. "But from another perspective, we may feel reassured to travel a well-worn path trailing back into time, hewed by the wisest and most thoughtful of individuals." What prompted you to write Creatures of a Day? There's some sort of inner force in me that rather insists that I write all the time. So I've never been, in the last 30 or 40 years, without writing a book. It's just the state of my being. It's what I do. [Laughs] Why that book? I guess its turn had come. I've been making use of narrative as a way of teaching in my field for a long time. [In this book] they're all true stories. There's some fiction in them because I need to disguise the patients very deeply. All the stories, and all the other stories I have ever written, have permission from my patients; they read them over in draft, they read them over at the end, and [they can offer] any changes they want to make, but they never ask for that. It's been always positive. Sometimes new patients come to me and they've read the books, and I've never heard anybody ever say they worry about being written about. If anything it's almost the opposite: They worry that maybe I won't find them interesting enough to be written about. A hundred percent of my patients for the last 15 years have read something I've written. That's how patients come to me. Is there anything in Creatures of a Day you find particularly meaningful? It's clear there is a lot of discussion of existential themes in this book. I spent 10 years writing a textbook of existential therapy in which I wrote a lot about facing our mortality and isolation and freedom and meaning in life, and that comes through in this [new] book. I have two patients who are facing death; I have patients dealing with retirement, patients dealing with aging. So I'm talking, by and large, about an older group of patients in this book. It does seem weighted toward people's struggles with aging and death—even your death. And that's a big theme. In my 80s I'm still doing therapy, and I think all of them wonder about that. I'm doing a different kind—or, at least, format—of therapy right now, in that I only see patients for a maximum of one year. So I'm not dealing with very long-term patients at this point, for a number of reasons. One of them is, I'm not quite sure how long I'm going to be in practice, and I don't want people to see me for many years and [for] that to be a major factor in how I make that kind of decision. Was it a conscious effort to bring those patients to the surface in this book? No, but it's fairly representative of the kind of issues that people bring to me. I'm getting a very self-selected population, and they've read a lot of my other books, and they know that if people really have concerns about mortality or decisions of retirement or any of these issues, that I'm interested in that and have been thinking about it for many years. There's a lot of emphasis in the book on the singular importance of the bond between therapist and patient, and a therapist's ability to simply be present. Yes, that's a very important factor for me. I think that the nature of the relationship and the nature of the bond of the therapy relationship is absolutely fundamental to how we work in our field and highly correlated with improvement. It's a very old finding—goes back to the beginnings of psychotherapy in this country, back to Carl Rogers, who was an eminent psychologist. There's overwhelming research to show that the quality of the bond between patient and therapist has a significant influence on whether people change. So I spent a lot of time on that—on trying to gauge that, on trying to influence that, on trying to explore that a great deal with patients. I also feel that we're much more effective if we can work on the here and now. If patients have relationship problems with others, I think I can be more effective by taking a look at how our relationship is progressing, and what gets in the way of us and how we work together. So I often help the patient explore what's happening between the two of us. Creatures of a Day and Love's Executioner are similar books—stories of real patients—separated by about 25 years. What differences do you see between the books? Love's Executioner was so experimental, there had never been anything written quite like that. It was a new genre; I really was breaking new ground then. The book became an immediate New York Times best-seller and was on the list for some months. I went away on sabbatical for a year, I went to Bali, and just took with me a lot of case summaries of patients I had seen and began selecting those that I thought had a good narrative. But I've written it in a different way: I wrote the whole story of our therapy, of these 10 patients. With [Creatures], I didn't do it that way. I had notes that I'd been taking over the past several decades that I'd put in a separate file that's for writing. When I wrote these stories, I wasn't writing the whole story of the patient. I was writing the story of some incident that happened that was very pregnant with emotion and created a story around that moment, that time. And looking at yourself between the two books? I think I feel much more comfortable doing therapy and much more open and self-revealing, although I had been experimenting with that for a very long time. In group therapy, I think the leader has to be both participant and observer, so I tend to be much more open and self-revealing than the therapists had been in the past. That's changed now, of course. In the olden days, the major therapeutic model was the Freudian one, in which the therapist remains rather a blank screen or hidden. But I don't think that's the best way to do therapy. So I try to be a real person in my work, and I think that's evident probably in every single one of these stories. You mentioned the success of Love's Executioner. Did that surprise you? Oh, that surprised me very much. The group therapy textbook has been a huge-selling book, but that's because it's a textbook and it's used all over the world. [With Love's Executioner] I wasn't writing for the general public, and I published that with Basic Books, which is kind of in between an academic press and a popular press; it's a highintellectual press, but they don't have many best-sellers. So yes, it surprised me greatly, and it stayed like that. I remember talking to a very experienced writer, and I was feeling a little bit overwhelmed with all the attention I was getting for this—a lot of stress, and lots and lots of emails and calls and invitations. And he said, "Well, I think you ought to remain a little cooler about this and enjoy it, because it may never come along again. Best-sellers aren't very common." He was absolutely right, by the way. My books have sold a lot but I haven't had another book on the best-seller list—not in this country. The novels have all been bestsellers in many European countries. And you're working now on a memoir? Yes, I have been. It's probably pretty appropriate for somebody at my age, in my 80s. It'll be a long write, probably two to three years, I'm sure. You grew up here in D.C., right? I grew up in Washington, D.C., and my parents were immigrants from Russia. They came over in the early 1920s, when there was a huge immigration. They weren't educated in a secular way, they didn't speak the language. They had a grocery store when I was born, I think at 11th and D NE, and then had a store at First and Seaton, near Rhode Island Avenue. That's right. My father's store was called Bloomingdale's Market. I grew up there. My first 14 years or so were spent either in that first store of his or, much of it, living on top of Bloomingdale's Market. Then my mother decided to buy a house in a nicer neighborhood—I wish she'd done it years before—and we lived on Blagden Terrace, a block from Blagden Avenue, close to the Carter Barron Amphitheatre. I went to Roosevelt High, and from there I went to GW. I won a scholarship for my first year, a fulltuition scholarship, which I think was all of $300 at that time. Were your parents fleeing persecution in Russia? Well, yes—all the Jews who were living in Russia were under some form of persecution or other; there were lots of pogroms. In Washington, there was a rather large—relatively speaking, 40 or 50 people probably—group of people who came from a small village, or shtetl, called Cielz, although it doesn't exist any longer; it was destroyed by the Nazis. They used to have what they called a Cielz Society in Washington that would meet—the whole large group would meet once in a while, but every Sunday my parents would meet with, oh, 10, 15, 20 fellow refugees and villagers from Cielz, and they would spend their Sunday afternoons and evenings together, and I did that as a child. That was the best part of the week for me. The neighborhood at that point in Washington was segregated—it was a black neighborhood—and not a good neighborhood at all, a fairly dangerous one. I spent a lot of time at the Seventh and K library. It was safe there, and I loved to read. Did growing up in your house impact your trajectory? Oh, I think it did in many ways. My childhood was not a happy one. I got very little mentoring from my parents or any of my relatives because they didn't know anything about this culture and they didn't speak the language very well. I think my parents wanted us to become American, and they didn't want us to speak Yiddish. None of my peers would learn how to speak Yiddish, because the parents didn't want us to be in the old country anymore. My childhood also determined what kind of profession I would have, since what we wanted to do mainly was to get into the mainstream American culture. In our time, there were two ways: You'd become a lawyer or a doctor. A lot of my peers wanted to be doctors because it was one way to gain some respectability, and that's what I did. Did you come to GW because of the scholarship? Yes. I didn't know anything about going to college. We didn't have anyone at school counsel us, so everyone I knew went to GW or to Maryland. My wife [Marilyn] who was in the same school and a half-year behind me—we met when I was in the 10th grade—she had a teacher who had mentored her and had graduated from Wellesley, and she made sure that Marilyn went there. But she's the only person I knew that went away to school. So I went to GW, and I took nothing but pre-med. And if you wanted to try to get to medical school with only three years [of college], before your bachelor's, you could do that once in a while. So that's what I did. I knew that it was also extremely difficult for Jewish boys to get into medical school—it's hard to believe, I know. But at that time GW would take 5 percent of its medical school class as Jews*. If the class was 100, to be one of those five, I decided I was just going to get all A's. So I did nothing but study. My pre-med school was horrible, and getting to medical school was a major stress, as it was for all Jewish boys at that point. I graduated GW with a straight-A average—I got one B-plus in German—and I applied to 20 medical schools and got turned down by 19. So that's how hard it was. If I'd waited another year, I might've had a better chance. I was in such a big rush, God knows why. I went to GW medical school for my first year. Then, because I was so involved with my wife—fiancée at that point, and she was going to Wellesley—I decided I would transfer to Boston if I could. I got into BU medical school and did my last three years there. What drew you to psychiatry? I was a little different from most medical students in that, I think if I had lived in another era maybe I would've gone into literature or become a writer, because I fell in love with literature when I was an early teenager and read extensively. I went to medical school with the intention of going into psychiatry because that was where I would be closest to the ideas of Tolstoy and Dostoyevsky and Dickens. So it was a choice I made even before entering medical school. You've called Existential Psychotherapy "a textbook for a course that did not exist at the time," which was 1980. Where would you say the practice of Existential Psychotherapy is now? Strange to say, I did call this book Existential Psychotherapy, but I never actually thought that there was a separate form of therapy. What I really meant was that there are certain existential issues that all therapists need to know how to deal with, and nobody ever talked about our fear of death, for example, or talked about meaning of life. These were unknown ideas when I entered the field of psychotherapy. When I was a resident at Johns Hopkins, a book came out by Rollo May called Existence that translated some of the European existential analysts and interested me a lot. That's when I started my philosophy education. There are a lot of people now at organizations—I spoke [in May] to the first World Congress for Existential Therapy, held in London, and there were a large number of people there, must have been a thousand people. So I think there's a lot more attention given to this particular way of looking at patients ... and psychiatrists are aware that you do have to work with patients' fear of dying, or work with dying patients. That’s what I started doing when I wrote that book. I felt the only way I can really learn about these issues is to have everyday exposure, so I started seeing a lot of cancer patients and then groups of cancer patients. Group therapy is an area in which you also have a lot of influence. What interests you about it? When I was at Hopkins, one of my professors was Jerome Frank, a very fine man, one of the founders of group therapy, and so I learned about it very early in my training. Also, there was a movement in the United States that's kind of a slight alteration of the older psychoanalytic field, in which we became more interested in interpersonal relations—that it wasn't only our parental relationships that we had to look at, but the relationships with all of our peers and other people. For that kind of interpersonal approach, group therapy is a natural. The idea of the group is to help people understand how they relate to other people through studying the relationships they're having with the seven or eight other group-therapy members. So the group therapy works on the process of how people are relating in the here and now. I found that to be a very potent form of therapy, and I've been leading groups and teaching group therapy most of my career. With books like Love's Executioner and Creatures of a Day, was the goal at all to try to unburden psychotherapy of the taboo it still carries? I think I had that in mind. I wanted people to see it as a human process. 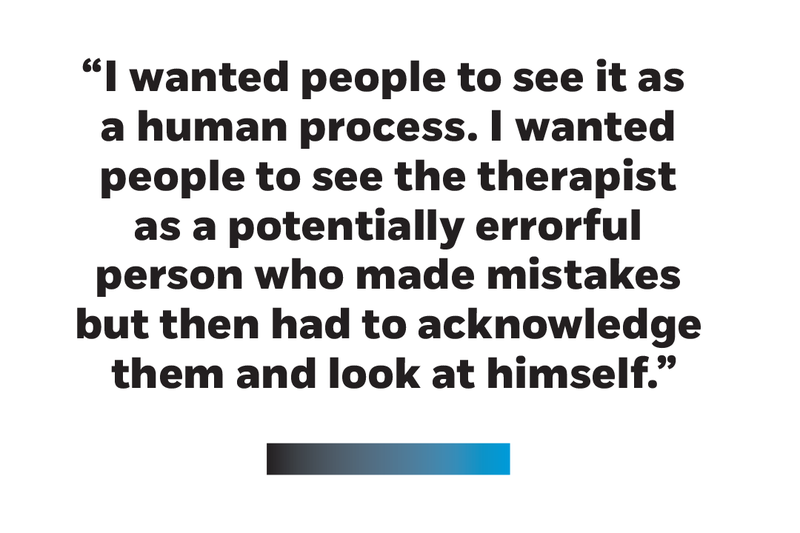 I wanted people to see the therapist as a potentially errorful person who made mistakes but then had to acknowledge them and look at himself. So I felt that Love's Executioner opened up the field a good bit. I've had a lot of fan mail about that book. I get a lot of mail every single day, 20 or 30 emails; I've probably had thousands over the years about Love's Executioner. It also has another function, which is rather unusual: Hard to believe, but it's actually been therapeutic for a lot of people. They look at parts of themselves in the various patients, and they write me all the time saying, "This has been very helpful to me in helping me understand myself." I always envision myself as having not only a psychotherapy practice but also working therapeutically through my writing. I try to answer the mail I get about my books, even if it's just a line or two that I write back. What do you see as your impact on the field? It's very hard for me to answer that question. I know that I'm very well known in the field. 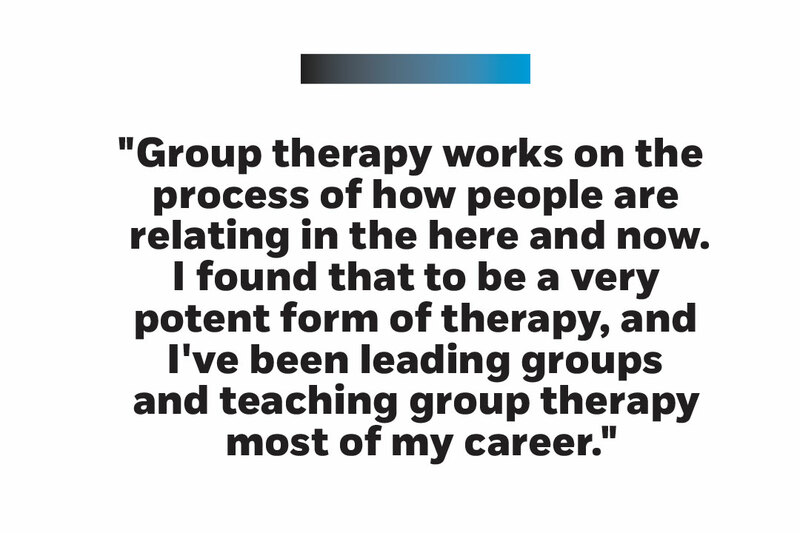 I've had a lot to do with popularizing group therapy. I've helped a lot of therapists become more human, more open, in their relationship to patients. I don't like doctrinaire or orthodox schools where you're not really being human, you're not being yourself. And maybe a way of using narrative as a way of teaching, maybe that's been a help for the field as well, an innovation. Is that any different from what you'd like your impact to be? No, I think I'd give you the same answer. In prepping for this, I picked up a copy of Existential Psychotherapy. In it, you relay a story about French novelist André Malraux: He asked a parish priest, who had been taking confession for 50 years, what he had learned about mankind. It was a great question and a great answer. You're in a similar boat, so I thought I'd ask you: What have you learned about mankind? Kind of a tough question to answer. I'll tell you one of the reasons: People think that psychiatrists are so wise about everything in a way, but you have to remember that I'm dealing with a very limited segment of humanity, and the people who come to me are aware of things enough to know that they want to learn more about themselves and be helped. So I'm dealing with a limited sector. Somebody once wrote in a book: "Everybody's life is worth a novel." And I feel that everyone's got a story and I want to encourage people to explore themselves, to look more deeply; I'd like for people to look at their dreams, try to see what deeper parts of themselves are expressing; and try to feel and learn to be empathic and love others. I'm preaching that kind of a benign gospel.